Mastway School is located at 23 Mast Road in Lee, New Hampshire. 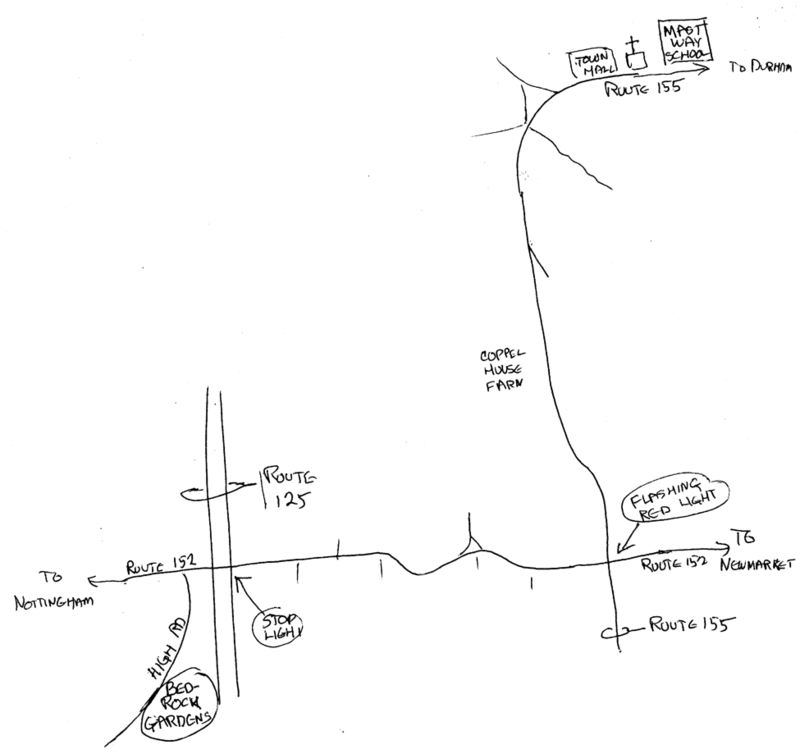 Return to Route 152, Take a right and the Stoplight at Rt 125 will be there. Cross Rt 125, and go 1 mile on Rt 152. At the flashing yellow/red light, take a left onto Route 155. Go 2 miles on Rt 155 to the center of Lee. The Mastway Elementary School will be on your left. Shuttles will leave about every 10 minutes.